Design: Manzoni - Tapinassi 2011. Produced in leather in two unique pieces, sofa and armchair, Windsor fits in with all kinds of furnishings. Perfect in a traditional setting, in a modern setting it stands out like a valuable work of art. Made exclusively by hand with capitonne upholstery, the sofa has a decidedly British feel. It is refined and sophisticated, yet also soft and welcoming, due to the distinctive button buried in the diamond quilting of the padding. Structure wood. Frame padding non-deformable polyurethane (D30 + D35) covered with Dacron 400 gr. Seat cushion padding 100% cotton cover filled with down and a resilient inner core D35. Springing elastic belts. Seat height 40 cm Arm - backrest height 65 cm. Feet beech wood h. 14 cm covered with leather; underfoot in aluminium. The cover is not removable. 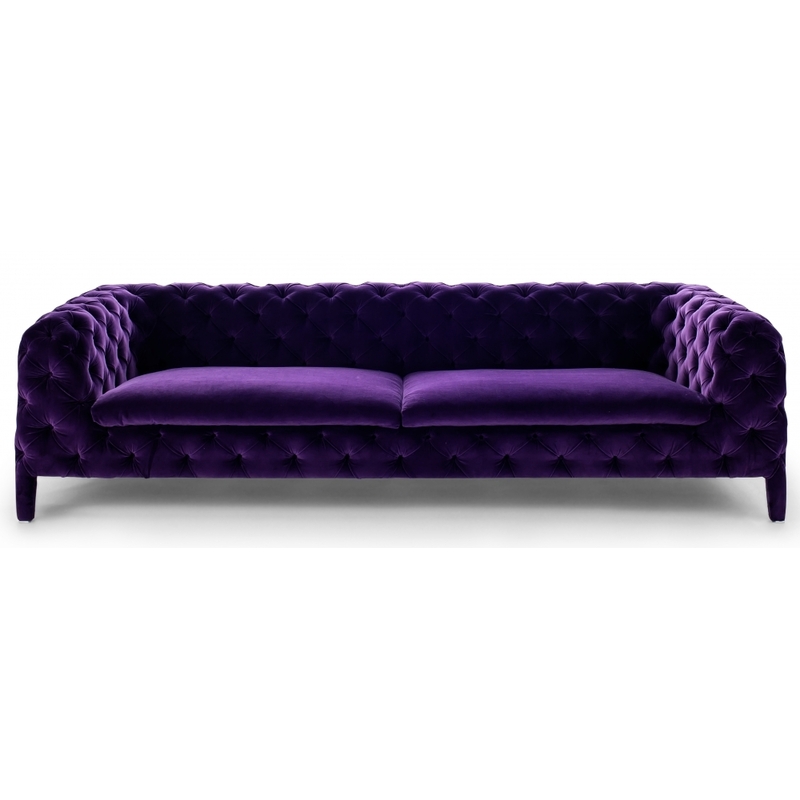 The sofa can be supplied only in the following leathers: Pelle First, Pelle B, Pelle A C.O.L. max thickness 1,3 mm. Please contact us for options.